It was about 8.40 a.m., Thursday. Seated at her desk, Rebecca was busy jotting down the objectives of a Geography lesson that she was about to teach that morning. She referred to the textbook, the school curriculum as well as a few reference books – as she feverishly scribbled in her diary. Her class would commence in the next 30 minutes and she didn’t have a moment to spare! But, why was this high school Geography teacher so perplexed? It was because, there was a disturbing trend that had been going on in her class for quite some time. Over the last few weeks, Rebecca had been observing a lack of attention among her students, during her lectures. She noticed them staring at her with a blank expression whenever she asked them questions. Their grades had also started to drop. Finally, after two hours of silent contemplation, Rebecca came to the conclusion that her geography sessions were in desperate need of a makeover. A generous degree of innovation in the lectures and assignments was the need of the hour. And, this teacher started ‘reflecting’ about how to improve her teaching practices to trigger an interest among her learners to know the unknown. Thereafter, Rebecca analyzed her teaching processes regularly, thinking about ways and means to modify her approach. She did a good research and looked up different websites to collect interesting facts about the Geography chapters in the curriculum. She also explored the topics thoroughly and assessed them carefully. 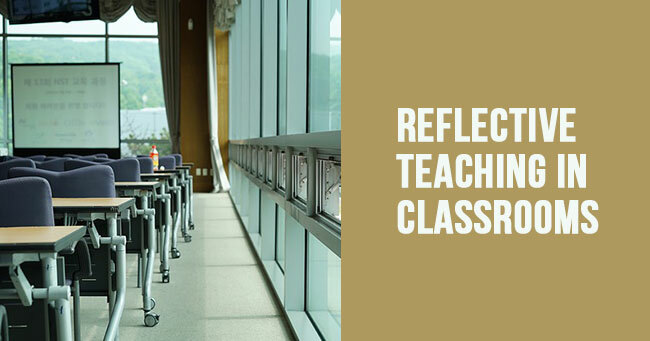 This process of formulating fresh learning solutions, evaluating one’s teaching theories, and aiming for student-friendly academic lessons is popularly known as ‘reflective teaching’. It involves thinking about your current teaching tactics and re-designing them to make students interested in studying any subject, topic or idea. 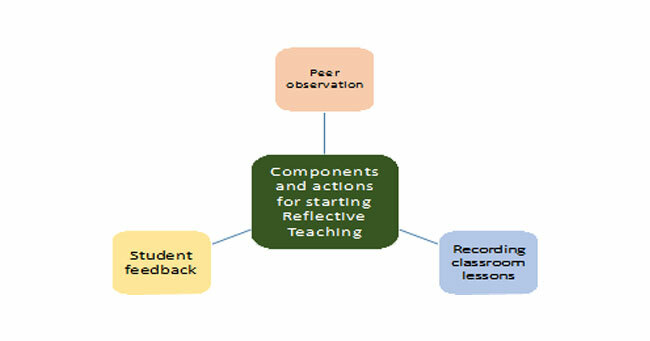 Why Reflective Teaching is Essential in Classrooms? Modern youngsters are victims of short attention spans. Some of them are also diagnosed with attention deficit disorders. And while some might be slow learners who consume a considerable amount of time to grasp a concept, others might not require repeated explanations of the same idea. 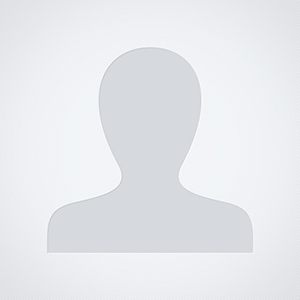 So, you must have come across such diverse population of learners in your class. 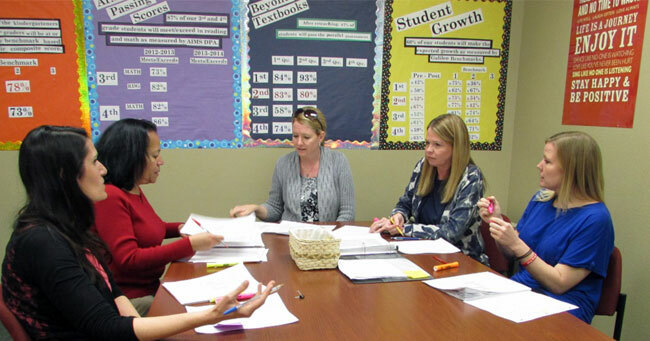 Teachers, often end up discussing the performance of students with their colleagues in school. For instance, you might be dying to complain about a pupil who sits in a corner in your class and commits too many errors while solving Math problems. You might sigh and exclaim to a fellow teacher, “Oh, there is this boy who is so careless in Math. And, he doesn’t even make an effort to pay attention when I’m teaching.”! How about trying something new rather than jumping to a hasty conclusion? When you focus on reflective teaching, you start identifying the strengths and weaknesses of your students. You systematically analyze the feedback of pupils, your teaching strategies and seek the loopholes that might have been responsible for the failure of your students to understand a topic. 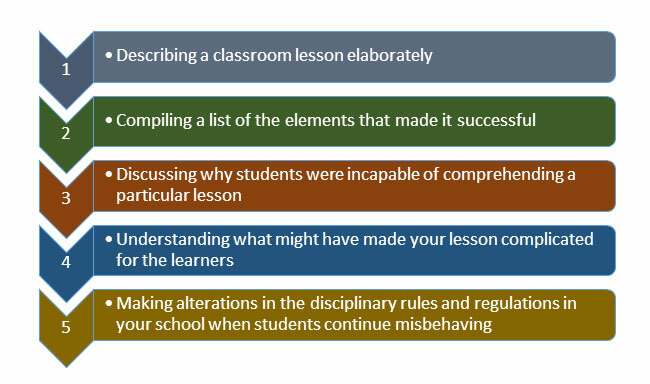 Teachers who adopt the policy of reflective teaching refrain from losing their temper when students make mistakes. Instead, they direct their energies to observe, analyze, and alter their teaching techniques to maximize student productivity. This sort of a teaching style is important as it involves several steps. 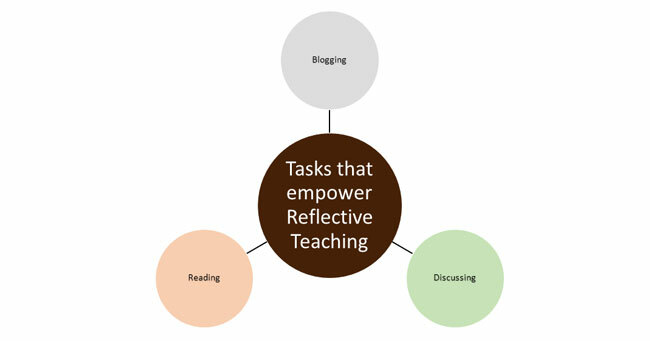 Now, the question is, how would you initiate the procedure of reflective teaching in your school, right? Well, you can begin this process by expressing your opinion about a particular issue with some of your pupils, in your personal journal. You can also reflect about seeking out unique ideas to enhance your teaching policies. For example, you can ponder about a particular aspect of your classroom sessions like how you introduce a new topic, or deal with disciplinary issues. Also, you might wish to write down a few questions that you can ask your students to evaluate their clarity of a concept. The idea is: to assimilate information about anything and everything that goes on in your class with an aim to work on your teaching processes. Let me assist you with a few suggestions to enable you to start your own diary. Add a touch of variation in your daily classroom routine.Why not invite any colleague to your session and request her to analyze your lecture by accumulating information about your lesson? Your colleague can go about it with the aid of a notebook or simply by following whatever is being taught in your class. Now, identify the areas on which you expect a feedback from them. For instance, you can ask your fellow teacher to make a note of the students who participate in your class regularly and concentrate on their assignments. You can also ask them to observe how you deal with the queries of your students and move on with your explanation. Remember, this is an effective process and even authors are known to go for peer reviews. Students tend to miss out on important announcements, lectures, and explanations of various topics when they are absent from their classes. And teachers find it an uphill task to repeat the same lesson the following day when all the students are present. This is one of the main reasons why teachers should make attempts to record their lessons. 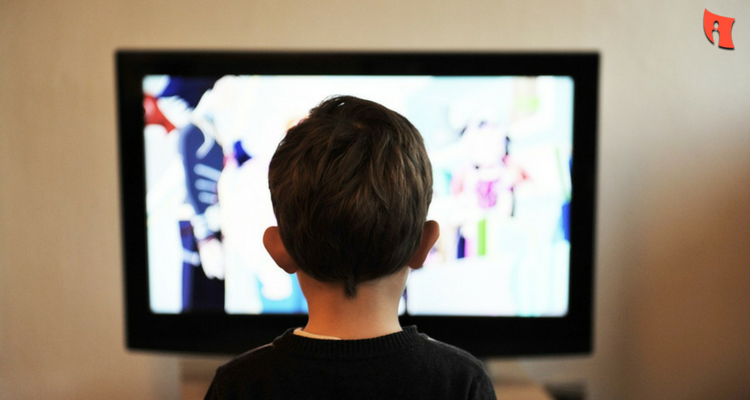 Always ensure that you have audio or video recordings of your classroom sessions. I am certain that these recordings would go a long way towards helping you form an opinion about your teaching features and the attitude of your pupils. Students who might not be able to attend schools would also benefit from these recorded lessons. All they need to do is watch the video and follow it carefully. If they fail to understand a certain part of your lecture, they can just rewind it as many times as they wish and enjoy the entire lecture. How much you speak in your class? What do you generally speak about? Are your instructions clear and concise? How much times are you assigning to student feedback? How exactly are you reacting to the questions raised by your students? Where do you stand while delivering your lecture? Your body language while you are offering an explanation. How often you maintain eye contact with your students? What do students feel about your teaching practices? Student feedback is yet another yardstick for determining your expertise as an instructor inside a class. Are you sure that your pupils have been able to absorb your lectures and the examples you have employed to establish your points?If yes, are you knowledgeable about how many students have actually learnt something from your lectures, and how many are just nodding their heads in approval merely for the sake of it? Let me remind you dear teacher that you should strive to be aware of the understanding levels of your learners and their obstacles. So, always make it a point to inspire your students to offer their honest feedback about your instruction methods. You can hand them questionnaires and encourage them to offer an honest criticism. Now, teachers can always be ready to engage in some other activities that would empower them to apply the principle of reflective teaching in classrooms. Every educator should let their creative juices flow. Know how to express yourself properly in writing. In short, they should aim to seek a vent for expressing their individual thoughts, ideas, and opinions about education, teaching procedures, or any other subject related to learning. Trust me, blogging would turn out to be your greatest ally in your professional journey and can even assure you success in your career. You would realize a wonderful truth once you embark on your ‘blogging’ journey. Firstly, you would discover about several things in your classroom that you might have ignored previously. For when you share your ideas with the world, you automatically gain a great deal of practical skills. When you write on any topic, you share it on the different social networking platforms. Immediately, your blog becomes public and thousands of other educators, administrators and students would be able to view your creation. Next, they would post their comments and share their feedback or their views about your topic. This would expand your mastery of many subjects. 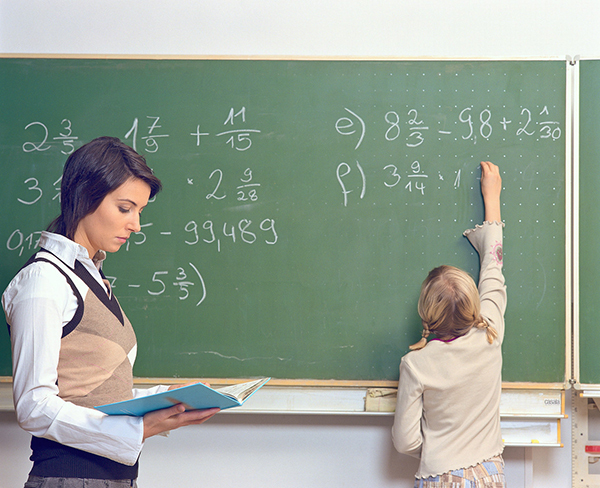 Have you unearthed an exciting theory about inspiring students to study smart? Talk it out. And spread the word. Discuss about it with your fellow educators, colleagues, and members of learning communities. Remember to mention it during the next team meeting conducted by your school principal and invite the opinions of those you have shared it with. I bet your listeners would come up with fresh perspectives of your topics and help you develop your ideas in order to accomplish your goals of creating lessons that are convenient for pupils. Fix a meeting with your colleagues who share your passion for enriching their teaching alternatives. The topic of your discussion might focus on different scenarios from your classroom. Speak about your teaching beliefs with your fellow teachers. For instance, you might wish to discuss about various kinds of projects that you can assign to your students – that would be informative as well as interesting for them to work on. Read, read, and read some more, teachers! Drown yourself in books, journals, and magazines that are equipped with quality information about education trends and the most superior teaching skills. Leverage the Internet as well. 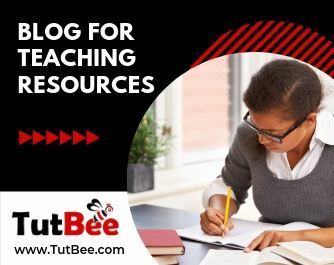 Today, you would find a series of websites that are dedicated to academic blogs emphasizing on classroom training and student empowerment. Read them extensively. And, be an expert in your field. Then, you would also come across certain magazines that cater to educators. Invest your time in a thorough research about the best books for educators and collect them. Read them whenever you can squeeze out some time from your schedules. Also, you can apply for a membership of a local library. When you are cautious about imparting the right kind of education to your students, you can hope for the best in terms of student achievement. Not only would it impact the academic learning, but it would have a profound and positive influence on the overall growth of learners.